I used to think I was un-fashionable. and telling me I am actually quite stylish. I really, truly want to believe you. You see my choice of shoes. The Rocket Dog clogs just don't work with this outfit. 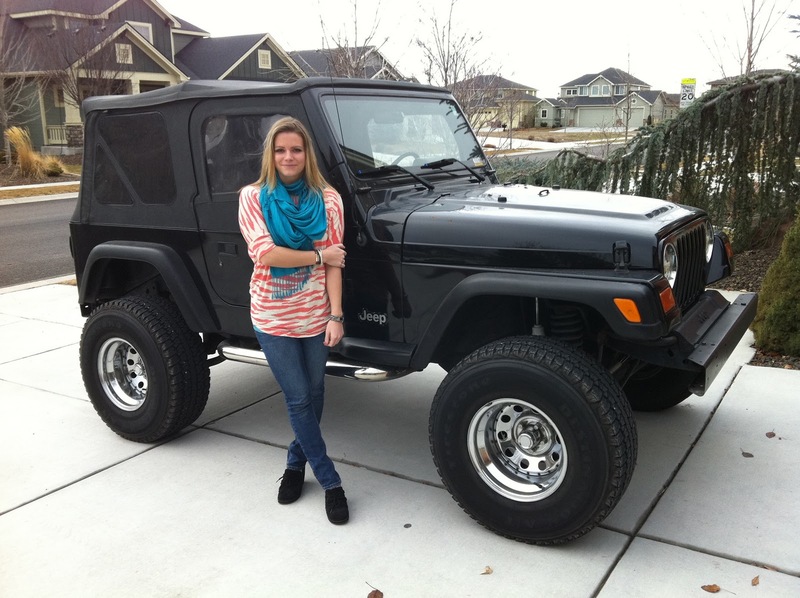 I love your jeep! Lately I've been drooling over them... hah. Wow! I absolutely LOVE the colour of that scarf - I would never have thought of teaming it with that top! Genius! 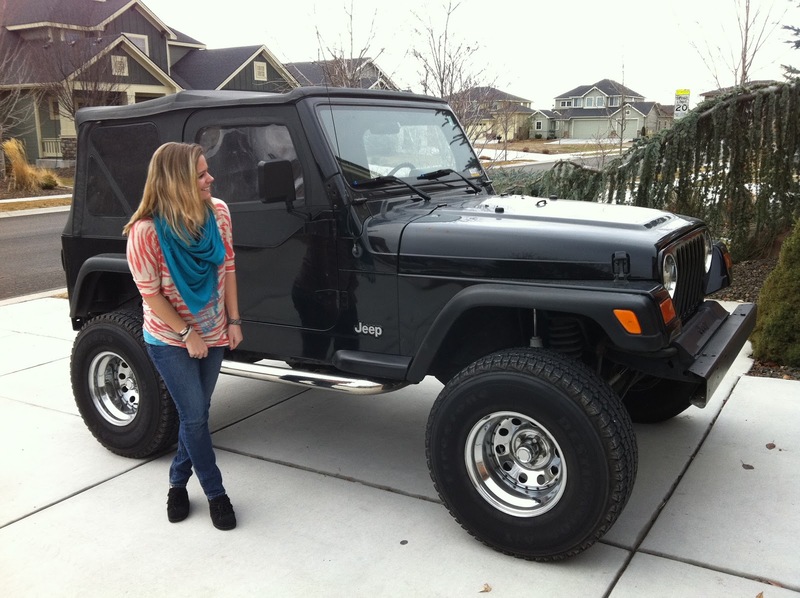 cute outfit girl and is that ur jeep? also love the new little icons at the top of the site!!!!!!! hahaha that is so me. I have horrible shoes although I am getting better and adding more stylish shoes to my wardrobe! You DO have great style! As said above, the outfit is totally cute...and also I didn't notice the shoes - and once you pointed out that you were wearing comfy shoes I thought, I like this outfit even more now. Adorable outfit!! 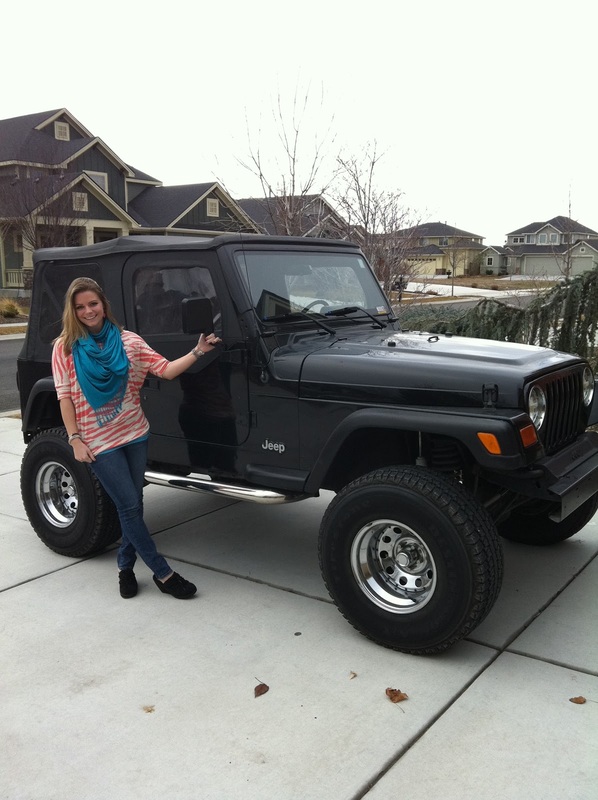 And I WANT your jeep!!!!! and of course you look lovely. So nice of you to post a picture for everyone to see! Have to agree with MommaPea, didn't notice the shoes till you mentioned them. But I kinda have to agree with you, they don't quite work. But that scar and top look fantastic together. I didn't notice your muted shoes until you pointed them out. The brightness and fun-ness of your shirt and scarf totally sucked me in. Are those shoes comfortable? They look like it! I'm with you, girl! I would say 90% of the time, shoes are my problem. I didn't even notice yours though, I say go with it!